An eight-month study conducted by the Associated Press concluded that none of Rio's water venues were safe for swimming or boating. The study found over a billion viruses from human sewage in a single liter of water from the Rodrigo de Freitas Lake. The water measured 1.7 million times the level of what would be considered hazardous on a Southern California beach. 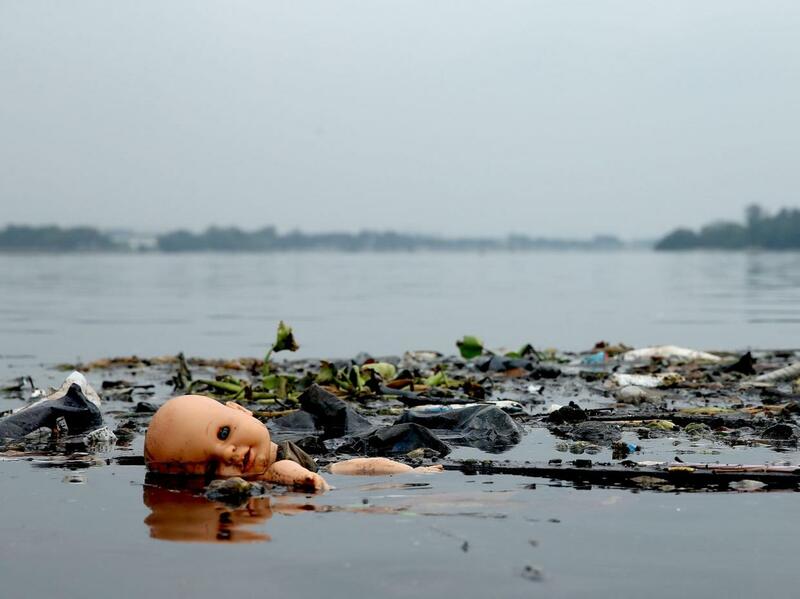 Rio's Olympic bid guaranteed a seven-year project to collect 80 percent of the sewage in the Rodrigo de Freitas Lake before the summer games. However, just last August, German sailor Erik Heil was treated for a bacterial infection after Olympic test events in the waters. "I'd never had leg infections before. Never! I can only assume I picked them up at the test regatta," he wrote on the German Sailing Team's Olympic blog. Heil believes he contracted the infection in the Marina da Gloria, where untreated waste water flows from a Rio hospital. In the same month, 13 of the 40 rowers on the U.S. Rowing Team suffered from a stomach illness following the World Rowing Junior Championships. The team's doctor suspected the illness was caused by the pollution in the water. The AP reported that ingesting three teaspoons of the lake water Heil and the U.S. rowers competed in would result in a 99 percent chance of infection. A new study released this June also found a drug-resistant super bacteria in Rio's competition waters, Reuters reported. The threat is known to cause deadly infections and meningitis. According to the CDC, the bacteria contributes to death in up to 50 percent of people infected. RIO DE JANEIRO — Health experts in Brazil have a word of advice for the Olympic marathon swimmers, sailors and windsurfers competing in Rio de Janeiro’s picture-postcard waters next month: Keep your mouth closed. 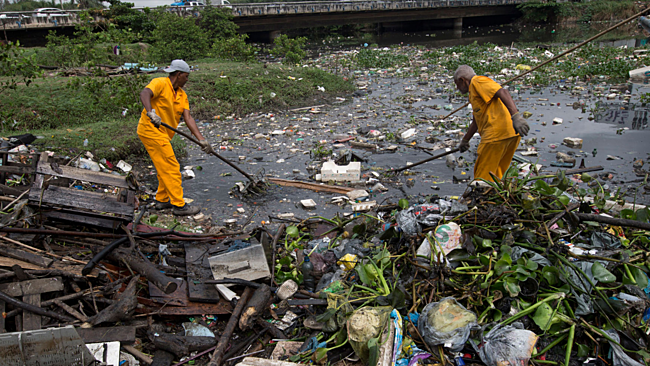 Despite the government’s promises seven years ago to stem the waste that fouls Rio’s expansive Guanabara Bay and the city’s fabled ocean beaches, officials acknowledge that their efforts to treat raw sewage and scoop up household garbage have fallen far short. 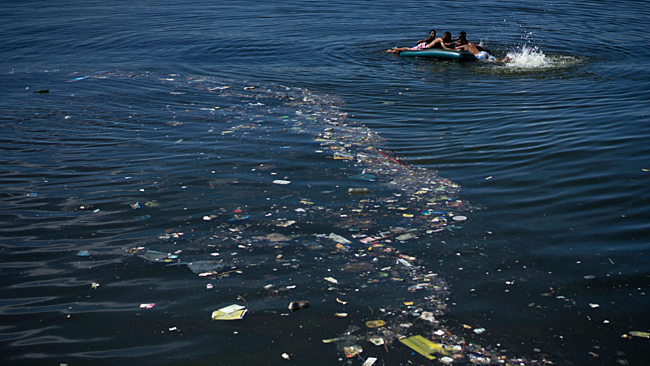 In fact, environmentalists and scientists say Rio’s waters are much more contaminated than previously thought. Researchers at the Federal University of Rio also found serious contamination at the upscale beaches of Ipanema and Leblon, where many of the half-million Olympic spectators are expected to frolic between sporting events. “Foreign athletes will literally be swimming in human feces, and they risk getting sick from all those microorganisms,” said Dr. Daniel Becker, a local pediatrician who works in poor neighborhoods.